This course is suitable for professionals of all levels and disciplines, and will prepare them for a specialized role within the overall marketing domain. It is an advanced Digital Marketing course for working Professionals, Business Owners and Job-seekers, crafted meticulously, covering various modules of Digital Marketing, wherein you learn about marketing online, bringing targeted traffic to website. generating potential business leads and increasing brand awareness by using various online platforms like search engines, social media, email marketing, online display advertising, mobile marketing, content marketing and much more. With the help of this course, marketing & advertising professionals can better understand digital marketing or get more out of their digital channels. Digital marketers can take up this course to fast-track their career and intensify their domain knowledge. Small & medium business owners (Entrepreneurs) can learn how to maximize online channels for growing their business. Technology/ IT Professionals who are client facing and are required to pitch digital marketing solutions to their customers. can hone their abilities. And students / professionals can learn about digital marketing to explore a wide range of career opportunities. Sales & Marketing Professionals, Entrepreneurs, Digital Marketing (SEQ PPC. Social Media) Professionals. Students or anyone interested in building a career in Digital Marketing. TO increase sales. Brand value, Orient customer Approach, Target audience. Product awareness. Analytical concepts to measure marketing effectiveness. like, analytical software. aunching of dummy display ads, creating optimization of website through AdWords etc. Marketing professionals would be able to understand the various aspects of digital marketing and apply the concepts to create a digital marketing plan. Sales professionals would be able to apply their understanding of digital marketing concepts to further their career. For those who plan to switch careers. this course Will enable them to do so by helping them understand the modalities of online marketing and easing their entry into the segment. Business owner would be able to understand how to better position their online presence and make optimum use of the online medium. 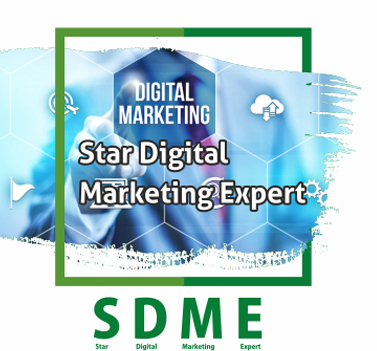 Sales & Marketing Professionals, Entrepreneurs, Digital Marketing (SEO, PPC, Social Media) Professionals, Students or anyone interested in building a career in Digital Marketing to increase sales, Brand value, Direct customer Approach, Target Audience, Product awareness etc..
© Starcertification 2017. All rights reserved.